Is it possible to convert XviD to MP4? Well, MP4 is the most popular video format for most of platform. If you have a Xvid file and can't open it somehow, converting to MP4 is the best choice. In this article, you will find the best XviD to MP4 converter for Mac and Windows PC, and also the free XviD to MP4 converter online. It converts over 150 video and audio formats with ease, including MP2, MP3, MP4, XviD, MOV, MKV, AVI, MPEG, etc. It converts videos at speeds of up to 90X, faster than any other converters. Easily burn converted MP4 to DVD; transfer your video/audio files to mobile devices. Edit Xvid videos before converting to MP4 format, like Trim, Crop, add Effects, Watermark, Subtitles, etc. Download or record videos from any online video streaming sites such as YouTube, Facebook, Vevo, Vimeo, Netflix, Myspace, etc. From the main interface, click the “Add Files” button to locate XviD video files in your Mac or Windows PC. If that is tedious for you, be simple by choosing to drag and then drop your XviD files directly to the converter. It is possible to add more than one file at a time since this XviD to MP4 converter also supports batch conversion. There will be many choices of output formats to choose from when using iSkysoft XviD converter but MP4 is the ideal one. Once you imported XviD files to the converter, you will see a format tray on the right side of the converter, just select MP4 format from Video tab. You can also change the resolution, frame rate, bitrate, encoder or more encoder settings according to your need. When you click on the “Convert” button in each video clip or "Convert All" button at bottom right, the conversion process from XviD to MP4 will begin in earnest. Depending on the speed of your program and size of files up for conversion, it might take you few seconds to get the mission accomplished. Following the MPEG-4 video coding standard, video codec library- XviD format is a distinctive format from its contemporaries. It makes use of the Advanced Simple Profile (ASP) features like b-frames, H.263, MPEG, lumi masking etc. As it uses the ASP technology, the Xvid format can easily be decoded with decoders compatible with ASP. Convertio is an online converter useful in converting, downloading, compressing, editing the MP4 effectively. It manages to convert Xvid to mp4 and one can make use of special effects to enhance it. Moreover, it provides various fonts like ‘Mac dfont, Adobe Font Metrics and several others. Begin by visiting https://convertio.co/ from your browser. Load files by clicking on ‘Select Files to Convert’ and surf for the Xvid file respectively. Now, ensure to select the ‘MP4’file as your output format and tap on ‘Convert’. Wait for a while till conversion completely gets over and then download from Convertio. 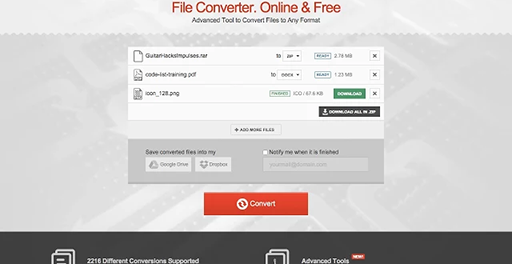 The other effective tool is ‘Online Converter’ essential in offering conversion of popular file formats. With this converter, converting XVID to mp4 file becomes very easy. Being a free service, user can exercise access from any web browser. Go to https://www.onlineconverter.com/xvid-to-mp4. To begin with, opt for XVID file by simply clicking on ‘Choose File’ button. After the file gets uploaded successfully, tap on ‘Convert’ button to begin with uploading your file. 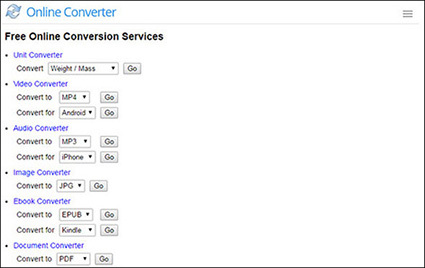 The converter will prompt to a web page for showcasing conversions.